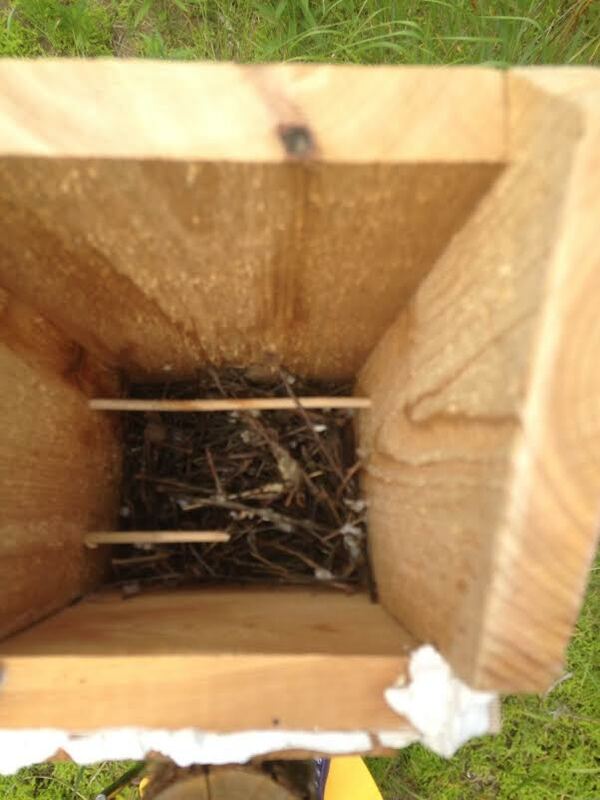 We are much belated in posting this news, but the first greenSTEM birdhouse was not installed at a school but rather at a wildlife refuge. The John Heinz National Wildlife Refuge at Tinicum has long been one of our favorite green spots in Philadelphia. Easily accessible from I-95 near the airport, it’s a true urban refuge: Even as planes fly overhead and highway traffic blurs in the distance, you’re enveloped in 1,000 acres of freshwater tidal wetland and forested hiking/biking trails. It’s also a birder’s paradise, as hundreds of species of birds can be spotted at the refuge over the course of the year—from migratory shorebirds and raptors to turkeys and cavity nesters such as swallows and sparrows. When we began building birdhouse prototypes, we met with deputy refuge manager Mariana Bergerson and wildlife biologist Brendalee Phillips to get some design tips, configure a wifi connection to stream nestcam video, and figure out placement. 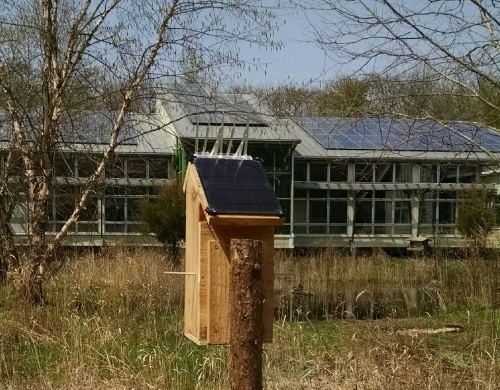 The last part was easy—the refuge’s visitor center has solar panels on its roof, so we put it in the meadow and aimed our solar panel the same way. See photo above—you’ll also notice some perches on the side of the birdhouse and spikes on the roof to prevent birds perching (and subsequently pooping) on the solar panel. Birds moved in almost immediately. It’s an ongoing saga, but after the jump we begin the story of swallow vs. sparrow.